This has been the whine heard from almost everyone from the center and leftwards as well as from a fair number on the right. What is interesting is the further you get from the center, right or left, the louder the complaints become. The one nice thing about these people and their complaining is that at least we know they did not vote for Likud guaranteeing more Bibi. Of course, from the media we are about to be fed a steady stream of whining over Bibi returning as Prime Minister mixed with a dash of hope that the Attorney General will find something which sticks to Bibi long enough to charge him and then it might be bye, bye Bibi. For those in the United States, things are not much different than in Israel as the left hangs on the hope that they can use the legal system to get something on Bibi, in your case, Trump, and then be rid of them forever. Those of us with at least one foot firmly on the grounds of reality, we realize that these attempts to incriminate Trump or Bibi with some legal misdeeds is nothing more than a witch hunt which will come up empty, but that will not stop those determined to be rid of them from continuing to try again and again. But the reality of Bibi goes so much deeper. We are regularly bombarded with praises heaped upon Bibi lauding him as the consummate political maneuverer and a master of the game. We are not quite so kind. If you want to get a line on why Bibi has been so successful and will soon become the longest serving Prime Minister in Israeli history, ask those whom he has all but destroyed. Currently at the top of that is Naftali Bennett whose New Right Party just missed clearing threshold. Naftali Bennett left the Likud Party taking Ayelet Shaked with him and went to Jewish Home where Bennett believed he had found his horse to ride straight to the Prime Minister’s House. Both Bennett and Shaked had worked directly for Bibi in his offices. Needless to say, Bibi took their leaving a bit personally. Two elections after Bennett and Shaked had moved to Jewish Home, a sort of miracle was in the making and Bennett actually was polling as almost even with Bibi and Likud with Jewish Home Party, formerly just a minor Religious-Zionist Party not terribly right of center. It was looking really close, until Bibi promised to treat Bennett and Shaked really nicely. What was the problem was that a center-left party was polling ahead of Likud and Jewish Home but well behind their combined totals. Bibi demanded that Bennett fall on his sword such that Bibi would defeat this upstart from the left threatening that if Bennett refused that there may very well be a left-wing government. Bennett made the fateful speech claiming not to be ready to be Prime Minister quite yet. The next morning, presto-chango, Likud was polling comfortably in the lead and Jewish Home was polling in single digits well below the day before. Bennett and Shaked got their Ministerial position, and Shaked as Justice Minister performed near miracles and will be missed from that position as her work was far from completed. This was the first revenge Bibi took out on Bennett, and possibly Shaked as well, as when the next election cycle came around, Jewish Home was struggling to reach double digits, and this would not serve Bennett reaching Prime Minister. In private with only a select group of faithful who were to follow Bennett, Neftali planned to leave Jewish Home and form a new party. He would have been wished well had he done this differently, but his plan was also to rid himself from any competition from his former party. For reasons untold, every attempt to have the Central Committee meet, something important as a new Central Committee had been elected (I was somehow amongst the chosen for my town) and new leadership needed to be selected. This was not to be as it would have left some semblance of organization when Bennett and Shaked split as soon as elections were announced. The New Right, as Bennett’s party was named, shot up into double digits in the polls while Jewish Home, after losing its top two candidates, having no new leader, having a central committee now decimated as people streamed off with Bennett, all power structures pretty much destroyed with some key positions which remained held by people left behind to make sure the chaos destroyed Jewish Home (though this will be denied to the end of time), Jewish Home polled at best around ‘one.’ I personally begged two of those leaving to remain and warned they would regret leaving, but off went even friends. Slowly, with the election growing closer, a committee of self-appointed leaders claimed they would reconstitute the party by fiat. The remains of the Central Committee protested and threatened to use their powers under the Party Constitution and this caused a surprised group who expected only slavish thanks to step back and listen. A system was worked out that nobody would be assigned any leadership without Central Committee approval, and slowly the Party was rebuilt only getting finalized with but a few days left to place a Knesset list for the elections. Jewish Home submitted their list with Rafi Peretz as their new leader, and what an improvement he will be if we can keep him long enough. Polls came and polls went and for quite a while Bennett appeared to have made a wise choice but inevitably the New Right started slipping, Jewish Home gained and with the election done Jewish Home, a party destroyed just mere months ago came in with five mandates and Bennet with his New Right failed to reach threshold and will not be in the government. Moshe Feiglin, founder of the Zehut Party, is another person whose history crossed paths with Bibi Netanyahu. Feiglin made a critical mistake, as have others before him, as he began to become popular both in the Liked and in the public eye. His popularity grew for quite a while until it began to appear as should this continue; he would be able to challenge Bibi. That was his breaking of the cardinal rule, Bibi is king and it is good to be the king. Suddenly, through things and rules which are still very hazy, the next election found Feiglin buried to a position in the mid-to-high thirties, well beyond any hope of being in the Knesset. Well, that began the slide of Feiglin in Likud and he soon realized that Bibi had buried him just as he has anyone who showed even a glimmer of being a threat to the Bibi. People need to understand something about Bibi, he does not compete with people for the top spot, he eviscerates those who approach his level of popularity at the crucial point where they would become a threat soon but before the point where they become difficult to stop. Feiglin probably came the closest but Bibi learned from his predecessor and mentor, Ariel Sharon. Ariel Sharon once ruled the roost in Likud. There was this younger, more energetic upstart who was climbing towards being able to challenge Sharon for the top spot. Sharon decided to give this upstart a challenge, a challenge which had proven the death of all who previously had this position foist upon them. Bibi was made finance secretary, once upon a time a dead end Ministership which ate up Ministers and spat them out finished politically. Well, perhaps Sharon should have checked Bibi’s resume where he would have noted that MBA along with degrees in economics. Bibi took on that challenge and all but rebuilt the economic picture in Israel and Israel is still running along with all those changes paying off with dividends. The old Socialist clogging of the economic spigot have been cleared and a Capitalist system put in its place which rewards entrepreneurs, investors and those who take the risks and does not overly penalize corporations for becoming bigger and controlling certain sectors as in Israel that is simply a challenge put down for others to unseat the giant. That is part of why we are the start-up nation. Ariel Sharon eventually fell to the demands of an American President, George W. Bush, and committed the Gaza disengagement. This Gaza Disengagement is what General Gantz (please do not confuse him with General Peretz who leads Jewish Home) of the Blue White coalition with Yair Lapid, claimed he had learned valuable lessons and believed it could be wisely used elsewhere to lead to peace, namely in the Shomron. He had a plan to simply give Mahmoud Abbas most of the Shomron and tell him this would make peace between us. This would have worked just as well as it did in Gaza and that is the peace, we would have received with one difference, instead of Sderot being the target in easy range, it would have been Tel Aviv within range. Anyway, Bibi rose after Sharon was felled by a stroke and has ruled Likud ever since felling one challenger after another almost as if it were nothing. The picture for the future is simple and may result in costing Israel dearly. For as long as the Likud Party remains entrenched as the preeminent party on the right, Bibi will remain Prime Minister. General Gantz probably posed as hard a challenge as anybody has since Lapid threatened and Bibi had Bennett self-destruct so he could beat Lapid. This sacrifice of Bennett was not sufficient. A couple of days before the vote this past election, Bibi announced in a very public setting, that he intends to extend civil law to all, every last one regardless of size, the Jewish settlements in the Shomron. He made the announcement repeatedly in interviews, in a photo op with the leaders of most of the Shomron communities and pretty much everywhere else including probably at breakfast to prepare for the words of the day. This was the entire pitch which Bennett was running upon and Bibi’s announcement simply cut his legs from beneath him. Bennett had siphoned off a fair amount of support extensively from the Likud, he had already taken the top two slots and another of the Jewish Home top ten along with half of the financing received by parties for the campaign while leaving the entire debt he had run up behind hampering Jewish Home, and with this one announcement Bibi had retrieved those votes right back to Likud as now there was no difference between Bibi position on the Shomron and Bennett and Bibi was more likely to be Prime Minister and Bennett was cooked. This was Bibi’s burying of Bennett and getting his revenge for Bennett taking Shaked and deserting Likud for Jewish Home. Bibi also recognized that Bennett wants to be Prime Minister and will stop at nothing to get there. Well, Bibi is Prime Minister and will stop at next to nothing to remain there, and in politics the person on top has all the advantages. Bibi remains Prime Minister because he recognizes any and everyone who has that desire, that gleam in their eye, that spring in their step that says I’m on my way up, and Bibi knows how to bury them politically so deep that they no longer know which way is up. There have been those rare few who such tactics would have proven ineffective as they were already too established for premature political burial. Reuven Rivlin is one perfect example. He had ridden high in the Likud list for a fair while. Burying him would be difficult and would cost Bibi too much to even try. So, how to put him aside where he can cool down until he is no longer a threat. There is a position in the Israeli government where one basically makes speeches and represents Israel at funerals and other state functions which the Prime Minister may not choose to attend though both can be at the same event from time to time. This position is called President. Currently, Reuven Rivlin is serving as President of Israel. He is about to perform the one very political role the President is assigned, deciding which party leader to choose to attempt to form a coalition and become Prime Minister. We here you, here comes his opportunity to get even. Absolutely not. Reuven Rivlin had two competing dreams, Prime Minister and President. This was the perfect opportunity for Bibi to cut down on the competition and also give a person he calls friend (not a position we would envy) the chance to live his dream. But not every challenger would go away as easily. There are a couple of such individuals off in the wings who, should they decide to give it their all, could step into a position leading one of the existing Religious-Zionist Parties and challenge Bibi. They are probably aware that such a move would be a one-off and if their challenge falls short, then that is it for them politically. Another was Danny Danon. The main claim against him was that his English was not perfect. Not perfect is being generous, but in Israel he only needs to speak Hebrew and if he were ever Prime Minister, he could have Bibi be his translator, that would be sweet to see. As Danny Danon rose slowly through the Likud ranks and in the settlement communities as a potential champion, they need as many as can be found, his political start appeared about ready to burst to light as a star does upon reaching that critical point. This was the point where Bibi suggested he become the United Nations Ambassador from Israel. Well, that prize was just too shiny to turn down, and Danny Danon was not seen as one whose desire in life was to be Prime Minister or to become the Bibi slayer; his dream was, is and will remain to serve Israel in whatever capacity to which he is called and to fight for Israel and her people, all of her people, in whatever way is needed. So, the Israeli Ambassador to the United Nations is Danny Danon. Who will be the next victim from taking the Bibi challenge? Well, none of us for a simple reason, our Hebrew is not anywhere near good enough and will never likely pass such a challenge. On the other hand, one of us has experience as a candidate with no real chance making the ballot as a third-party candidate for the United States House of Representatives. No, we will simply continue with making commentary and if called upon to serve, then we would probably serve with a proviso that we were given a trusted translator. As far as the next to step forward to take on the Bibi, there probably will not be such as Bibi has intimated that this will be his final time around, his victory lap, so to speak. Still, he may be facing a new challenge from President Reuven Rivlin if the rumors are true that his first tender will be to Bibi Netanyahu as well as Gantz and Lapid of the Blue White Party, which was a very close second place vote getter being edged out thirty-six to thirty-five, and proposing that they bury their differences and join together to make a National Unity coalition in order to find a path to peace. The words “path to peace” have become a loaded phrase which Israelis equate with losing land and gaining terrorism. The last great “path to peace” was the Gaza disengagement, and we all have come to realize how well that turned out, Gaza became terror central. Should President Rivlin call to meet with both Likud and the Blue White leaders, then many Israelis will become very nervous. Such a meeting implies that the soon to be announced President Trump Deal of the Century is a known plan by Bibi, Rivlin and who knows who else, and this plan will result with another Palestinian Arab entity potentially with borders which could pose an even greater threat than Gaza has proven to pose. Such a government would only be brought into existence in order to form a government which could survive any resulting caving to allow for the Deal of the Century to come into fruition. This would not necessarily be the case with any other coalition as the potential for the Likud Party to split threatening any weaker coalition would be a definitive possibility. This is what happened when Ariel Sharon committed to the Gaza Disengagement when he then formed a new party (Kadima) with the remnants from Likud and a number of representatives pealed off from Labor and other smaller parties allowing Sharon to remain as Prime Minister and the rest, as they say, is history. Another such disengagement, exactly what Gantz originally stated was his intention should he become Prime Minister early on, is something the majority of Israelis are dead set against, including us. Israel’s saving grace might just be the absolute refusal by Gantz and Lapid before the election to forming such a government as they really desired to replace Bibi outright. With things now settled and being the lesser party, this may no longer be such a terrible idea for them to adopt. It is remarkable how malleable formerly stated absolutes come when the alternative is sitting in the opposition, the same opposition they claimed they were ready to ride to the next election when they just know they will win outright. The other part which makes this all the more possible is the once stated admiration Bibi held for Ariel Sharon whom Bibi claimed at that time was his mentor. This looms larger now that such things are presenting themselves, even if they are but rumors as rumors sometimes have a bad habit of becoming part of reality. The most likely path forward will be for President Rivlin to collect from each party leader the person they would choose to support as Prime Minister, Bibi or Gantz. As things sit currently, Gantz would receive at most fifty-five while Bibi is expected to receive sixty with Avigdor Lieberman waiting to have Bibi agree to his demands before making him Prime Minister. So, how do things sit now? The government will be even more shaky than the former government. Last time, when Lieberman pulled from the coalition, that left Bibi with a ruling coalition of sixty-one, the minimum for a sitting government. This time Lieberman sits between Bibi and a mere sixty which would probably result in the calling for new elections soon thereafter. Somewhere, Bibi lost one critical ministerial mandate and has an even weaker position. The editorials which claimed that we may have a new election within the year are looking to have a decent chance of being correct. Things are back to being as shaky as, as.. as.. as a Fiddler on the Roof. The election will be over but probably not the screaming. The tally will be known and all that is left is for the coalition to be announced. 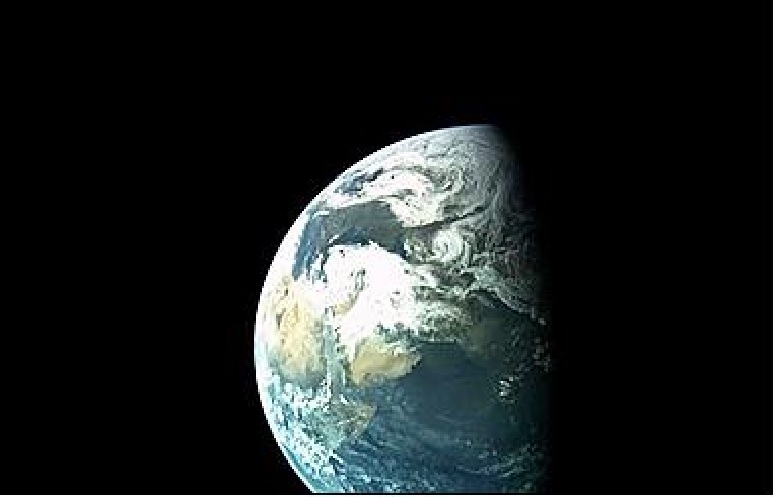 It may already have been cobbled together, but all of that will not matter on April 11, 2019, which will forever be known as the day Beresheet and Israel landed on the Moon. There will be those who will still be arguing about the election, but some are always stuck on politics. I know that we are a fine one to talk about obsessing over politics. Today, with elections already driving many to the brink, we decided to be calm and talk about the little spacecraft that is about to be the first privately funded, government free (sort of) that ever landed on the Moon. 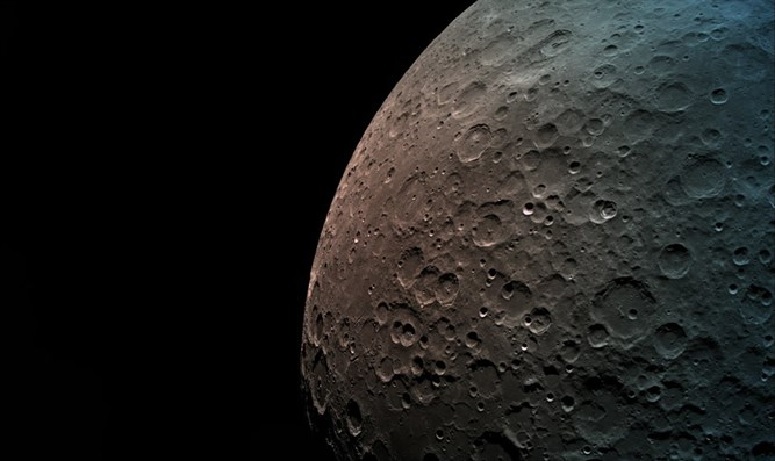 Beresheet will make Israel the forth or fifth nation to soft-land a craft on the Moon behind the United States, USSR (Russia), China and here comes the iffy part as sources we checked were uncertain whether or not India had also managed this feat. 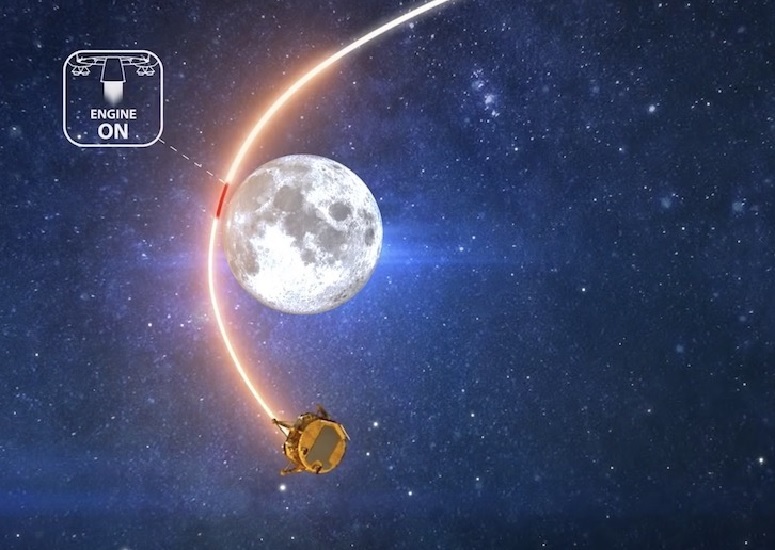 Israel has also become the seventh country to enter the Moon’s orbit after a successful maneuver the last couple of days. Beresheet has six cameras nestled under the top plate on the spacecraft. Just like any teenager with a cellphone, Beresheet is able to take selfies like the one below. That small orb just hanging there in space, that’s us, the Earth, everything we know is on that small orb. And of course we are going to try and fill the article with pictures taken by our ‘little spacecraft that could’ from the small country with big dreams. 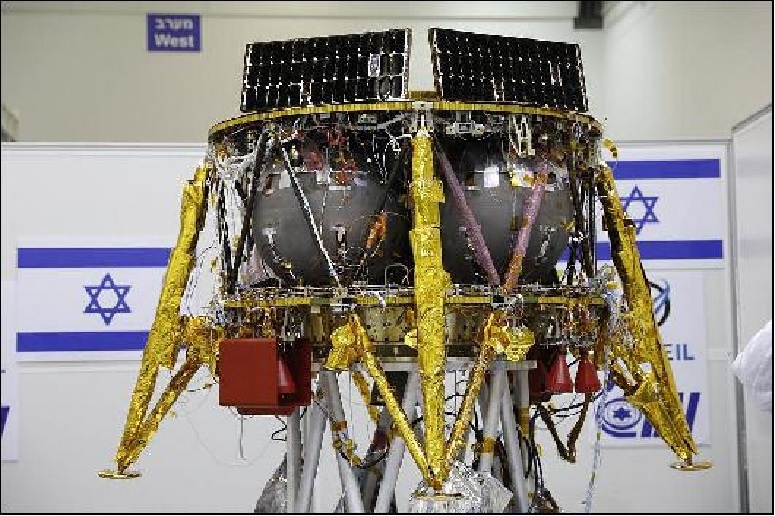 The Beresheet lander weighs in at a mere 180 kg (600 kg fully fueled), she is a four-legged spacecraft and is the smallest, a mere one and a half meters by two meters wide and one and a half meters tall (approx. washing machine sized), and least expensive spacecraft to land on the Moon thusfar. It is so appropriate that Israel, one of the smaller nations (about the same size as New Jersey), would build a spacecraft commensurate with her own size, but Beresheet will hopefully perform some remarkable achievements other than simply landing on the Moon. 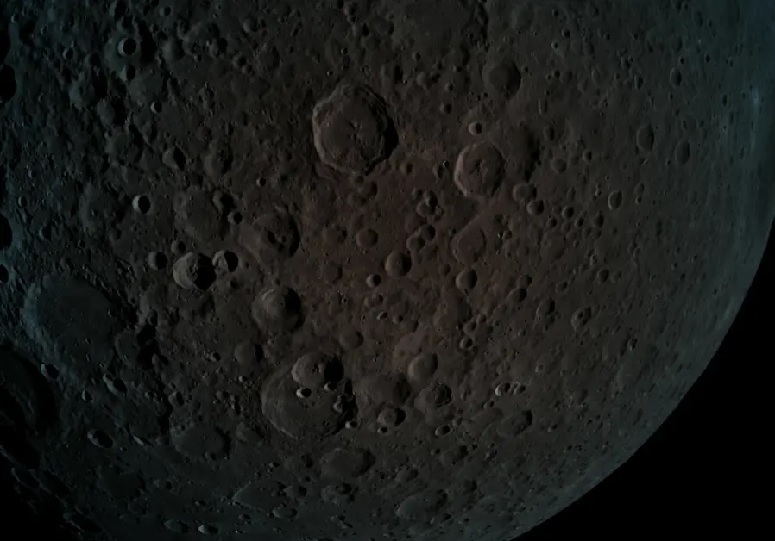 If nothing else, Beresheet has already sent back some amazing pictures including some from the back-side of the Moon (see below). The launch back in February was successful and the little spacecraft that could has been circling the Earth in an ever-greater elliptical orbit until she reached distances allowing for her to go for Lunar capture. 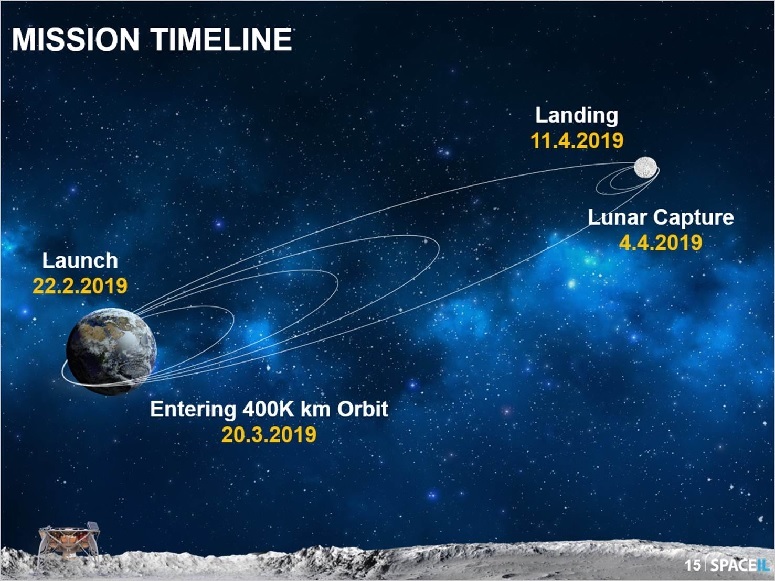 That was the recent maneuver which was successful as Beresheet is now circling the Moon in preparation for landing. 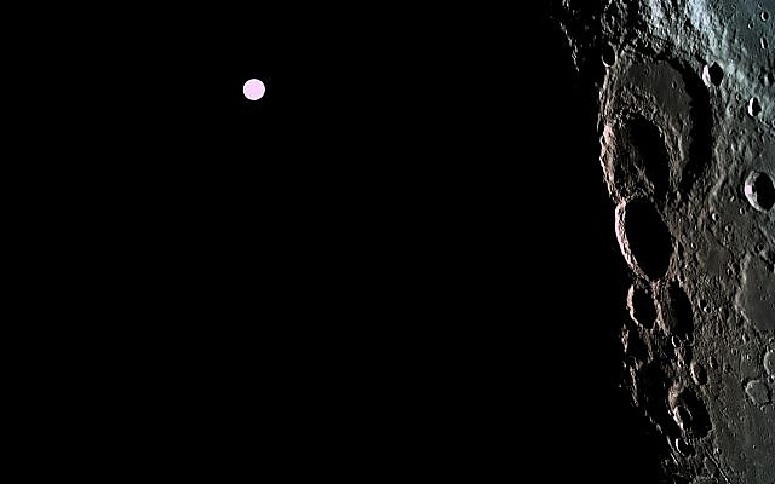 Beresheet’s arrival on the Moon could not be timed any more perfectly coinciding with the end of election here in Israel on Earth. For the past few weeks, one could have debated which was flying higher, the rhetoric and accusations between the candidates and their respective parties, the hyperventilating by the media over the Mueller findings (one nothing burger) or Beresheet on her way to rendezvous with the Moon. That was settled when she made the transition into Moon orbit putting all these other lesser things into perspective. This little craft has been through a large area of space since the following picture was released before her launch date. The launch of Beresheet was an accomplishment in any number of ways. The main cargo taken aloft was not Beresheet, but a communications satellite. Furthermore, the different items launched required different orbital incisions with Beresheet requiring an additional burn after the other payloads had been delivered. This was something unprecedented for the Space-X launch teams but it came off according to plan. This is the point where we require showing a video of the planned trajectories, engine fires and everything it is taking to get little Beresheet onto the Moon. Please watch and enjoy. Beresheet carries equipment which will collect data on the magnetic field of the Moon and any fluctuations. 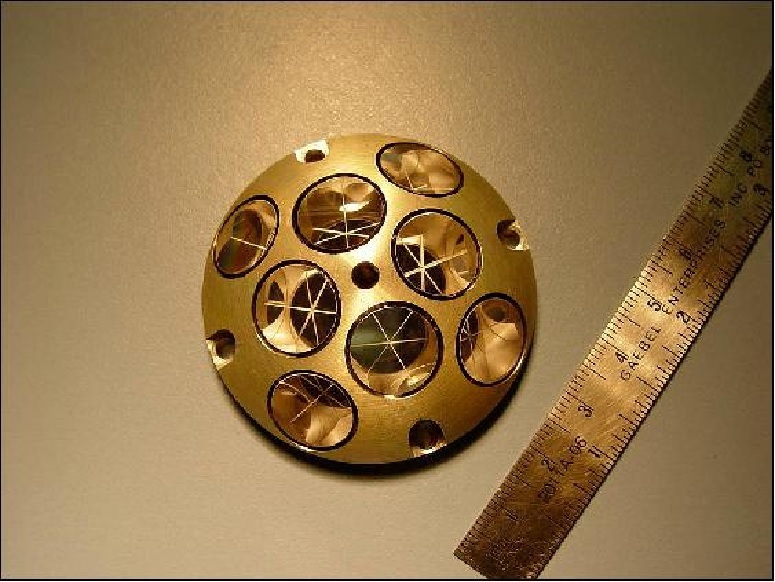 NASA also provided a laser reflector on the spacecraft, which scientists will use to determine the exact distance to the moon, and to pinpoint the lander’s location. 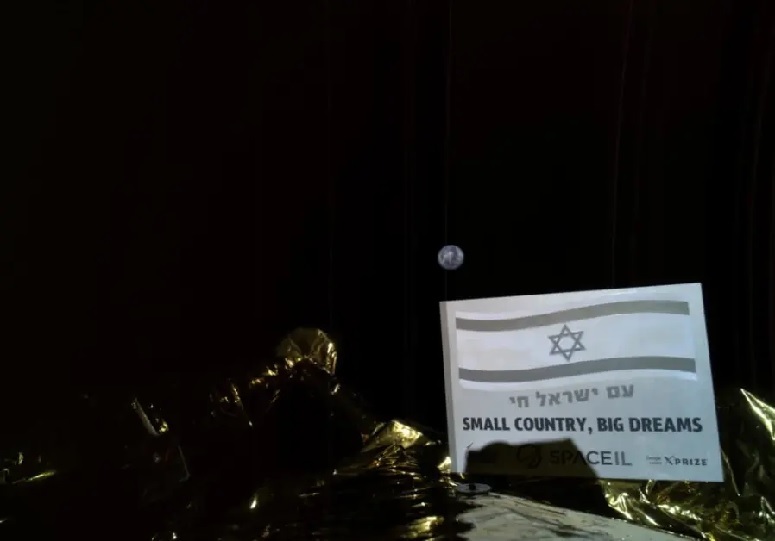 Beresheet also aims to deliver a time capsule to the moon with the Israeli flag, and digital copies of the Israeli national anthem, the Bible, and other national and cultural artifacts. The only sad thing is that Beresheet was designed to function for a mere two days mostly taking pictures and some various readings. We close with additional pictures, enjoy. There will be a new Congress coming this January which will prove to be informative in numerous ways. Some of the coming news will be readily reported and some will be lauded as coming better late then never and the real hope that the American democracy will survive and much will be ignored, refuted and readily pooh poohed. Politics will be even more centered around President Trump with everything currently being done to weaken his Presidency continuing only to be joined by strong new efforts originating in the soon to be Democrat controlled House of Representatives. Those who have continued thus far protesting and bombarding social media reposting every anti-Trump post no matter how ridiculous the post will continue to serve that purpose giving us all the information which denigrates President Trump with varying degrees of accuracy and amusement. This, they will claim, is doing a public service providing those who may have a loose connection with sanity which caused them mistakenly to vote Donald Trump President in a fit of temporary, or worse, sanity to realize the error of their ways and thus prevent them making the same mistake in 2020. The numbers of people combating these postings will continue to drop making these heroes of America continue their campaign in the belief that they are preventing the reelection of President Trump. Polls will continue to vary wildly from week to week while many people play games when answering these poll questions simply because they do not care about polls and prefer to just have fun. President Trump will continue to have support percentages and disapprove percentages add together to measurably over 100%, an interesting result which implied that there is a group of Americans who disapprove of President Trump while supporting him. Oddly enough, this has some basis in theories about President Trump. There is a theory that a percentage of the American population disapproves of Donald Trump, the person, but support President Trump due to the political policies he is enacting or attempting to enact. There will be differences in both houses of Congress. The easier change comes in the Senate where President Trump has gained sufficient support that even should Senator Mitt Romney become the next leader of the “conservative” resistance against Trump, he will not garner sufficient Republicans to prevent President Trump having the Senate approve every appointment presented the Senate which is simply a reasonable choice. We fervently believe that should President Trump attempt to appoint somebody whose qualifications for the office are in question, then the Senators will debate such qualifications and suitability for the office professionally and possibly reject such an appointment. The Senate may be requested to hold a special session by the House of Representatives where the Chief Justice of the Supreme Court will preside over the Senate. For those still in doubt, they will be holding trial for President Trump or members of his administration or possibly judges he has appointed such as Supreme Court Justice Kavanaugh under Impeachment charges. They will return votes refuting these charges dismissing such allowing all to remain in their positions. 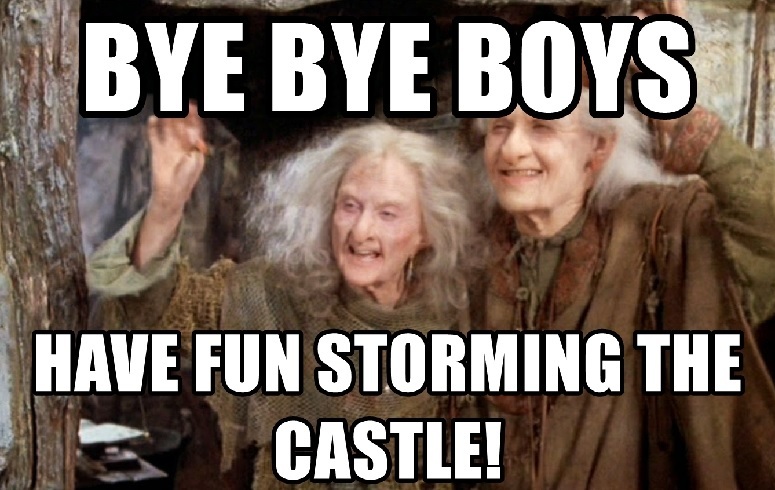 So, Impeachments denied and appointments approved and that is the new Senate. The House of Representatives has already announced what their planned agenda is going to be. First, at least four or five committees are going to entertain criminal charges against President Trump with an intent of bring the first Impeachment charges to the floor of the House. Some of the other committees are taking a more original approach by seeking to bring Impeachment charges against a number of the appointments made by President Trump with at least one announcing they plan to bring Impeachment charges against Supreme Court Justice Kavanaugh. Other items which will meet similar rejection from the Senate upon arrival are the attempts to reestablish all of Obamacare, Universal Healthcare via Medicare for all, repeal of the Trump tax cuts and reinstituting strict carbon control in an attempt to end all reliance on coal, oil, natural gas and any other fossil fuels. The Senate and the House of Representatives, beyond the approval of President Trump appointments which will pass the Senate, will waste their time and the taxpayers’ monies rejecting virtually everything proposed by the other and the House of Representatives will also reject anything coming from the White House. But there will be one group which will continue to attempt to make any progress in reaching the conclusion they have been tasked with, and that is the Mueller Special Counsel investigation. Never mind that the only items they have found were extraneous charges of minor malfeasance by a small number of people who were not part of the Trump campaign or administration at the time of their acts. But Mueller has been tasked to investigate President Trump for violations under which he may be Impeached, be that the presumed Russian collusion over the election defeat of Hillary Clinton or anything he may find related or not. Nobody has been all that upset over the little fact that the Mueller investigation has exceeded spending twelve-million dollars thusfar and has shown no signs of making any real progress against the President and has been using what many do believe are inappropriate tactics. It has been stated that Mueller has threatened any of the people he finds even the slightest impropriety, that he still inflates the charges by adding in charges of conspiracy to commit more serious crimes or finding some means of dismissing or reducing sentences if only they will provide evidence, manufactured, invented or actual, against President Trump or those closest to him. There has been evidence of using the perjury trap where you have one person swear to an exchange imagined or real but in a form or order of words differing from another person which Mueller is targeting as his next step to the President. This is followed by a charge of perjury which allows the same trap to be set as Mueller works his way up the path to his eventual target. There are some things we can all but guarantee. The most obvious is that should the Mueller investigation be closed by the White House, you can bet your bottom dollar that soon to be Speaker of the House Pelosi will bring obstruction of justice charges against President Trump and use that to bring Impeachment against President Trump. The majority of the time spent in the media will be interviewing Democrats from the House of Representatives and select Senators while also building up the numerous individuals seeking the Democrat nomination for President to unseat President Trump. Should a Republican announce their intention to run against President Trump in the Republican primaries, they will get an inordinate amount of media time and be billed as the coming of the nation’s greatest hope. Should they succeed in promoting somebody who replaces President Trump as the Republican candidate, that person will overnight become the most devious and evil person whose mere existence on the ballot throws into question the sanity of those who voted for him during the primaries. There will be questions about how they won the primaries against Trump and they may even claim that the Russians were promoting them because they were disgruntled with President Trump as he did not do as he had been expected to perform. Meanwhile, whomever wins the Democrat primaries will be lauded as the sole logical and sensible choice to help the United States recover from the disasters caused by President Trump and to actually get to doing the work of the people which had been ignored for the past four years. The fact that the Democrat House of Representatives and the Republican Senate could not find any common ground will be blamed on President Trump as he obviously proved to be ineffective and the reason no mere amateur should be elected President and only politicians are qualified to hold the office. Should President Trump be the Republican candidate, whether winning against opposition or waking to the election after being unopposed, we suspect that Mitt Romney was placed in the Senate as the Senator from Utah such that he could establish a reasonable position allowing him to oppose President Trump in the Republican primary elections. We can predict the entirety of the campaign which President Trump will use for 2020. 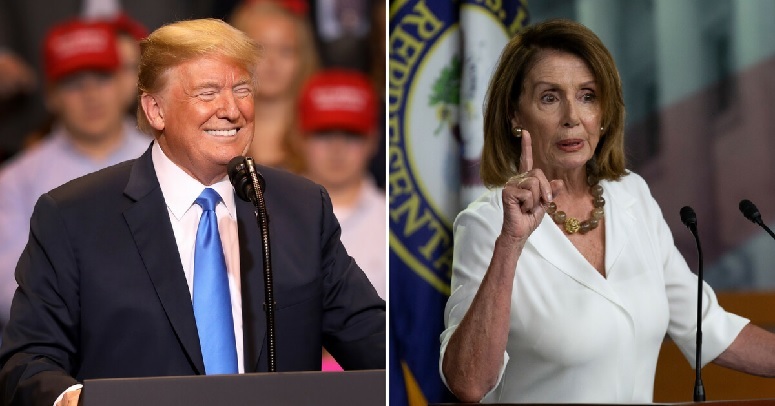 He will place Speaker of the House Nancy Pelosi front and center in his speeches about his inability to get the people’s work done without the cooperation of both Houses of Congress. He will request that the people elect a majority of people who are willing to work with him to get the remainder of those items of the people’s work done, be they Republican or Democrat, as long as they support lower taxes, deregulation, and strong borders and that he requires over sixty in the Senate which means that the majority of those Senate seats being voted need to be filled by those who will support his efforts. President Trump will possibly claim that he faced the revolution lead by Senator McCain and then had an oppositional House of Representatives and plead with the voters, though pleading Trump style will sound more like marching orders, for the people to support him for the election and in giving him a Congress which will permit him to finalize items which he was only able to get temporary motions passed. He will explain that his tax cuts are temporary and he wants to make them permanent and perhaps even make those tax cuts deeper such that the government takes even less from the people and reducing the taxes and regulations on domestic business so as to continue to stimulate the economy such that the nation reaches full employment which will allow the additional people being employed will reduce the strain on government while adding to the tax revenues. If you desire to see a similar campaign one need only look back to President John Fitzgerald Kennedy who campaigned on lower taxes and strengthening the military so as to keep world peace and give the American voice more impact in the world. The main difference will be the enemies which each identified with Kennedy making the Communist spread in the world while Trump will talk about the threats to our democracy as we know it. The campaign will be fiercely fought no matter whom the Democrats choose to be their candidate. The two people who have received some coverage of being front-runners have been Joe Biden and Hillary Clinton. We will go out on a limb and claim that neither will become the Democrat candidate for President and it will not be Elizabeth Warren either. The Democrat field might actually draw a sizable number of candidates somewhat like the Republican list last elections. The primary campaigns will probably be more interesting than the actual Presidential elections. What would be guaranteed is that should President Trump be reelected, the demonstrations around the nation may surpass anything ever witnessed to date. The leftists will revolt against such a result and demand an additional Special Council to investigate this renewed tragedy which had to be due to some devious means as Donald Trump could not have won as everybody they know would never have voted for Trump.